SMYRNA, Ga. – Mar 20, 2019 GLOCK, Inc. is proud to announce that the Grafton County Sheriff’s Office in New Hampshire has selected GLOCK as their new duty pistol. Known as the “Gateway to the White Mountains”, Grafton County is also the home of Dartmouth College and has a population of nearly 90,000. Sheriff Jeff Stiegler came to the department with over 25 years of law enforcement service in New Hampshire and 6 years as the Police Chief in the neighboring state of Vermont. He immediately recognized the need to replace the aging service weapons. “After speaking with my department firearms instructors and reflecting on over thirty-years of law enforcement service, I recognized our department needed a highly-reliable and proven service weapon,” said Stiegler. “When any law enforcement agency has to decide on an important issue like this, we have to look at quality, price and most importantly, the ability to adequately train our staff to meet established standards and being able to defend ourselves or a third party from serious injury or death,” said Sheriff Stiegler. “GLOCK has stood out from all the rest. The quality of GLOCK speaks for itself. When we examined price, GLOCK provides a competitive price while giving an agency a phenomenal product,” continued Stiegler. Among the design changes are five key features. The match-grade, GLOCK Marksman Barrel (GMB) utilizes new barrel rifling to deliver improved accuracy. The removal of the finger grooves and an added ambidextrous slide-stop delivers improved control and flexibility. The nDLC finish is a tougher and more durable finish that is exclusive to the GLOCK manufacturing process. Introduction of a flared mag-well increases performance by making it easier to funnel the magazine into the mag-well, particularly in high-stress situations. 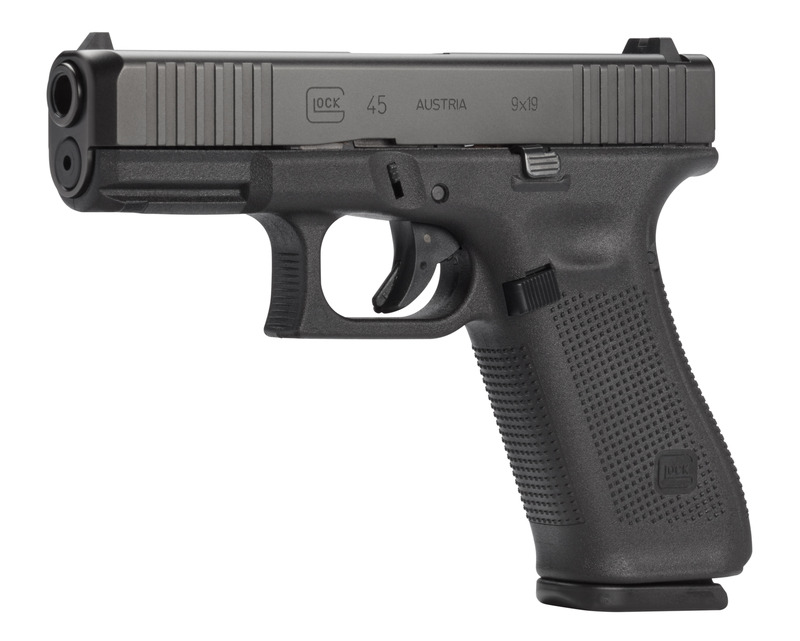 For additional information about the GLOCK Gen5 models and the G45, visit https://us.glock.com/. This entry was posted in pistols and tagged G45, Gen 5, Glock. Bookmark the permalink.